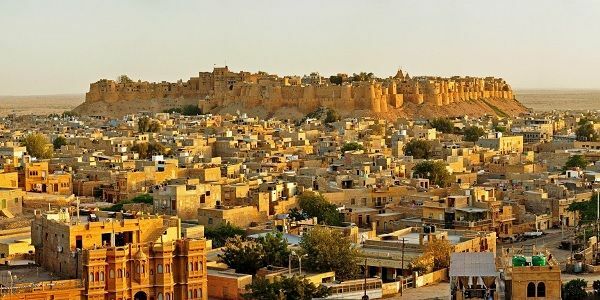 View the complete tour details below and call our team at +91 9782585460 (Mr Singh) or drop a mail at shjodhpurjaisalmer@gmail.com to book this tour. 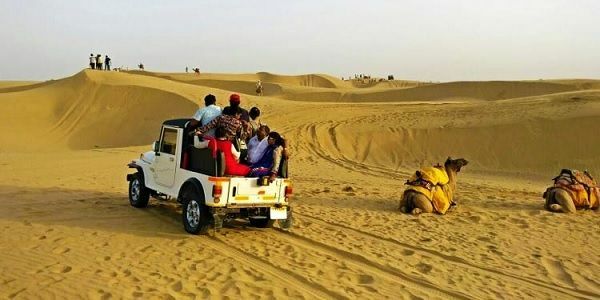 Leave for Jaisalmer in a Cab from Delhi at 10 am with on-route stops at Mandawa & Bikaner (for lunch & tea). By 10 pm, you’ll check-in at the booked Jaisalmer hotel. Day 2: Full day Jaisalmer City tour. Enjoy morning tour of Jaisalmer Golden Fort & after lunch, tour of Gadsisar lake & Vyas Chhatri. By night, you’ll be back at your hotel. Check-out from the hotel after breakfast & enjoy a desert sightseeing tour (sites names mentioned below). After lunch, enjoy camel or jeep safari tour at Sam sand dunes, musical night with buffet dinner & night stay at the booked desert camp. Checkout from the desert camp after breakfast by 10 am and leave for Delhi (road trip) & arrive by 10-11 pm, night. Puppet show bt NK Sharma. Visit Sunset point at Sam sand dunes. Musical show at desert camp with buffet dinner.